Kitty Rambles A Lot: KatzeShop Mini Haul! 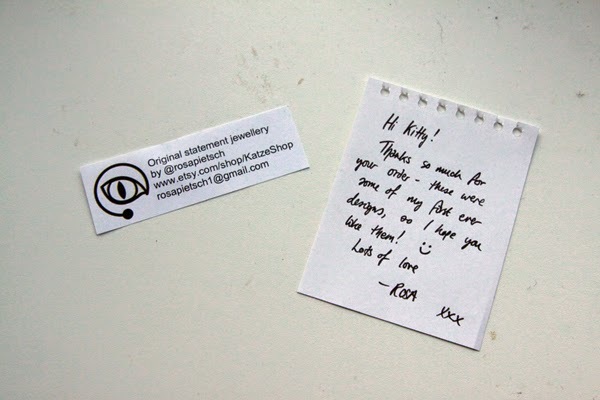 I am a huuuuge fan of KatzeShop, designed by Rosa Pietsch. Many of her pieces are one offs, and in February Rosa ran a sale, and then gave us an extra 10% for a Valentine's treat, I couldn't resist! 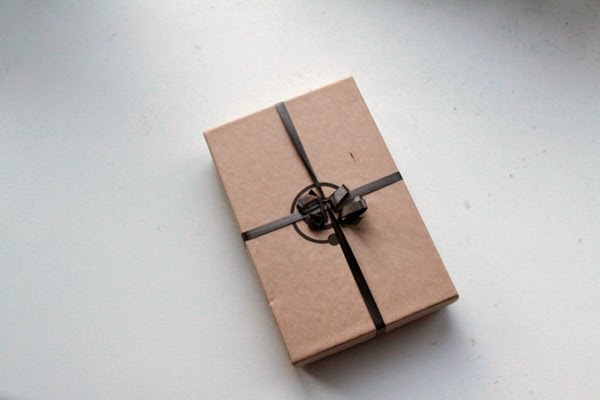 As ever, my goodies arrived in a lovely box wrapped up beautifully. The little note I got inside! Such a cute personal touch. So exciting to know that these were some of Rosa's first designs and I would now have them to treasure and show off. I knew this was going to be gorgeous, but wow! 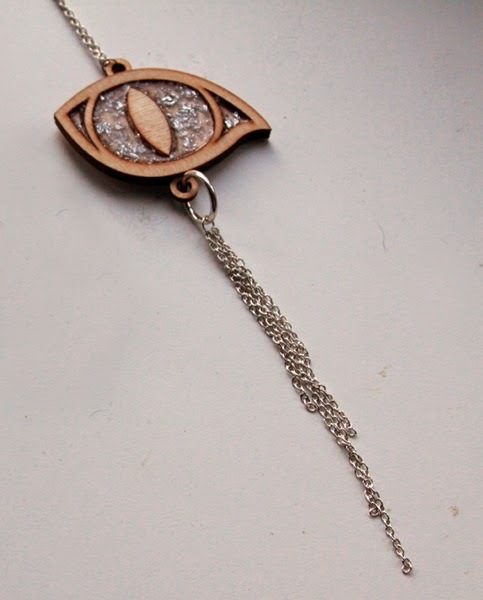 The silver resin in the eye adds an extra dimension to the cat eye, which, as a cat lady, I could not resist! 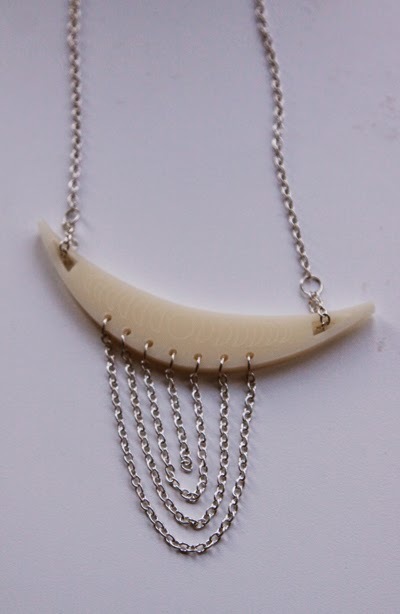 The long chain dangling from the eye means the length of the necklace is perfect for the style of tops I've been buying lately. Can't wait to wear it! 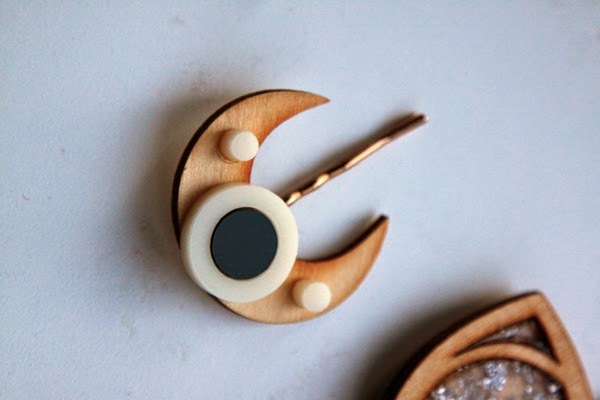 I think summer and spring are perfect for wooden jewellery, and this is a stunner. You know I can't resist a moon right?! This is ideal for wearing over black, and the engraving on the the acrylic is subtle but so gorgeous! Click the photo to enlarge it so you can properly see the detail, it was tricky to photograph. I really struggle to wear anything in my hair, but the odd kirby grip I can cope with on a good day. 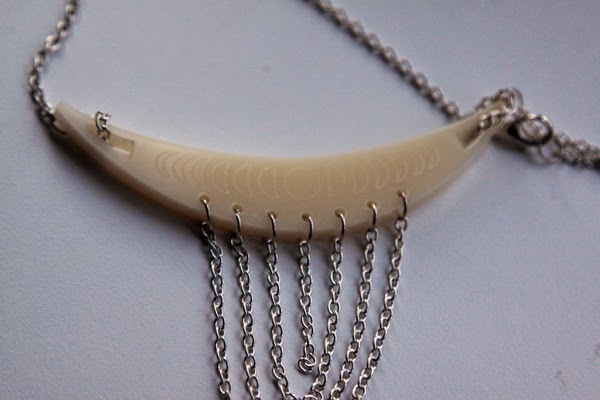 With this being wood and acrylic, I think it should be light enough to wear occasionally. 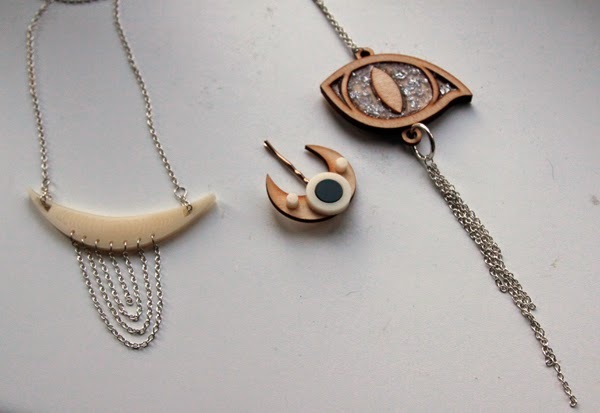 I am forever eyeing up more from Rosa's shop, you should really check her out! She's a lovely lady too which is always a bonus.